Marie: This week on Minnesota Native News, hard work is underway to address the housing crisis – and the wild rice harvest begins. Marie: A tent camp near Hiawatha and Cedar Avenues has been growing all summer, and drawing lots of media attention and community response. Now urban Indian leaders and public agencies are providing toilets and fresh water – and trying to find people homes. But homelessness and housing insecurity has been part of Native life in Minnesota for decades. Laurie Stern reports on two efforts to make long-term change. Laurie (tape 2:40): Last winter we reported that the Minnesota Indian Women’s Resource Center – M-I-W-R-C might take over Kateri Residence. Kateri was the only long-term housing available to help Native women reunite with children in the child protection system . But Kateri closed in June. Patina Park is Executive Director of M-I-W-R-C. The kids can’t be placed with them until they have housing but they really can’t get housing until the children are with them. Park calls the housing voucher requirements a Catch-22 that makes family housing nearly impossible for women with children in the system. Safe and suitable housing is always an element of the case plan. So if the child's an out of home placement, the parent may complete CD treatment, may complete the mental health assessment, do therapy, might be doing all of the things they need to in order to get their child re- unified, but they can't find safe and suitable housing. Park says that Kateri served a vital function that gave families time and a place to stabilize. But the old building needed even more repairs than she thought it would. So she and the M-I-W-R-C board are deciding whether those repairs are worth making. At M-I-W-R-C, we remain committed to restarting that programming as soon as we possibly can either there or continually raising money to go ahead and purchase a new place or to build something because it's so vital. Park says she and St. Stephens - the building’s owner – found housing for most of the former residents, but that at least one woman who used to live at Kateri is now living at the tent camp. Plans for much-needed housing are also underway on University Avenue in Saint Paul. A new 42-unit supportive shelter for American Indians age 18 to 24 is scheduled to start construction next month and open in about a year. One of the forces behind it is Ain Dah Yung, the non-profit that helps to strengthen Native families, with an emphasis on youth. Executive Director Deb Foster explains the culture has been deliberately destroyed since colonization. The youth that walk through our doors now are being raised by these parents and these grandparents who were in boarding school potentially in boarding schools and were stripped of their identity and language and traditions and beliefs and everything. Foster says the new shelter will help Native youth who have aged out of foster care. They’ll learn job skills in technology classrooms, get counseling and gather with others for ceremonies. The new center will be called Mino Oski Ain Dah Yung, or “Good New Home” in Ojibwe. For MNN I’m LS. 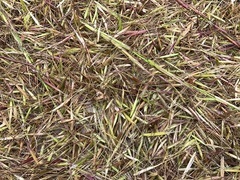 Marie: Finally, the season for wild rice is nearing peak time. In the canoe is Jeff Savage, artist and director of the Fond du Lac Cultural Center. (tape :16) When the harvesters come in, they’ll take their unfinished wild rice and sell it to the reservation who will get it finished into the finished product and then that’s distributed out to band members and to tribal government for programs and ceremonies for the whole next year. Only American Indians may take wild rice from the waters within the original boundaries of the White Earth, Leech Lake, Nett Lake, Vermilion Lake, Grand Portage, Fond du Lac and Mille Lacs reservations. Most tribal websites will have updates on conditions. Darren Vogt (Vote) with the 1854 Treaty Authority says conditions this year are just so-so. Across the 1854 ceded territory which is Northeastern Minnesota I would say the rice is below average this season. We had some early rain events which seem to really impact the harvest. Updates are available on the website, www.1854treatyauthority.org. This week on Minnesota Native News, hard work is underway to address the housing crisis – and the wild rice harvest begins. Host, Carl Unbehaun, presents a cavalcade of songs by Minnesota songwriters along with his musical musings! A song from Doug Millaway’s new CD, “Just Me” and not one but two songs by Bob Muscovitz. And we play “Stronger Beer” by Canadian country artist, Tim Hicks. Ya-hoo!